Då var det dags igen! Dags att fira kåren och att det passerat ännu ett år! 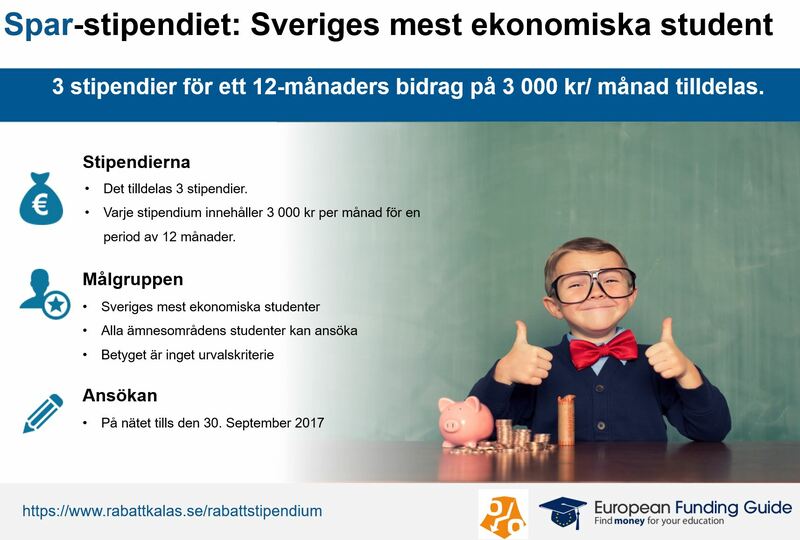 Kom och ät tårta med studentkåren! In The series of events for Internationalisation and Global Health at the Umeå University, it is now time for the next International Café! 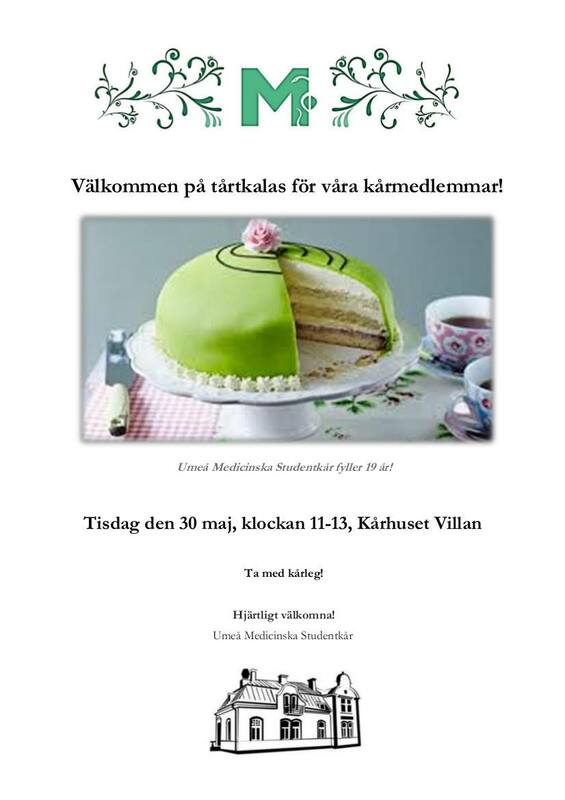 This Thursday at Kårhuset Villan 18-20 pm, you will get information on how to apply for exchange studies through the IFMSA and for Minor Field Studies (scholarships for writing a thesis in middle or lower income countries) through the SIDA. 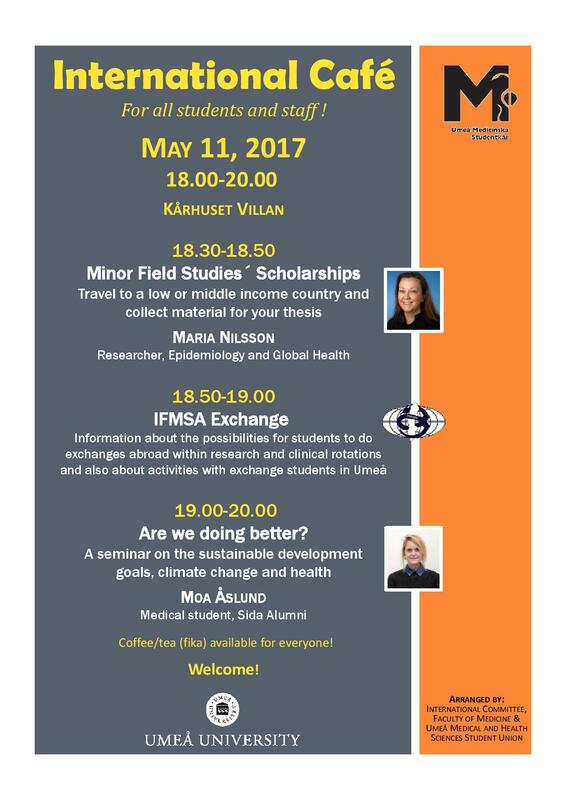 There will also be a seminar on the sustainable development goals and the connection between climate and health with the SIDA alumni and medical student Moa Åslund. Do not miss the chance to get to know more about International Medical Work, Global Health, the Sustainable Development Goals and how to get started with Your International Project. Finns att köpa på kansliet.